The massive release clause in Neymar’s contract has put Manchester United off the pursuit, as the English giants feel they can’t afford the Brazilian. 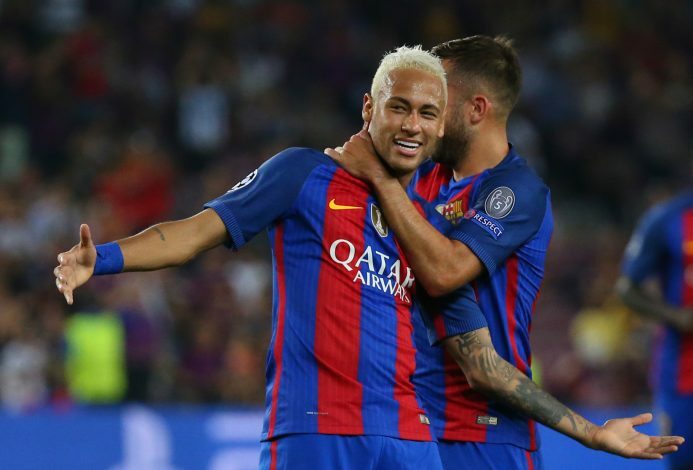 Jose Mourinho had Neymar as one of his major transfer targets this summer, but the Barcelona winger is now deemed too costly by Manchester United. The enormous £198 million release clause in the winger’s contract means that the Red Devils have been priced out of a move for the superstar. Yahoo Sport has revealed that Neymar wanted to come to Manchester United, and even informed the same to Jose Mourinho, but Barcelona’s refusal to agree a deal below the release clause demolished whatever chance United had. With the Red Devils out of the equation, PSG are now the sole front-runners in the race to sign Neymar, as the French giants are ready to buy out the colossal contract. Neymar is eager to step out of Messi’s shadow at Barcelona in order to fulfill his dream of winning the Ballon d’Or. The tricky winger had a preference to play in the Premier League, but with no offers from England, he is now considering a move to the French capital instead. As reported across media, PSG are ready to pay the hefty release clause for signing Neymar, and the Ligue 1 giants only need a personal agreement with the Brazilian international to finalize the deal. If this transfer goes through, it would dwarf the world record transfer which saw Paul Pogba move to Man United last year. I would prefer buying neymar for 200 because goals and entertainment is granted. .